Every artist has a unique creative process that enables them to do what they do. It's something that provides stability and routine--that helps them to find their way back into "the zone" of their respective creative outlet. For some, it's rituals or a particular setting while for others it might be something familiar that helps them to engage. The single most important component of my writing process is music. It serves myriad purposes ranging from blocking out sounds and providing background noise to evoking a specific mood or memory. I've crafted entire playlists for single characters and have had whole sections influenced by a single song (the "Darkness" chapters, for one). When I first began writing The Lion in the Desert more than thirteen years ago, I realized immediately that I would need some sort of acoustic assistance. I've always used music to help me to focus when writing academic papers and when drafting personal musings but I saw right away that novel-writing required a different level of attention to my sonic backdrop; fortunately, Fate had my back. Several years earlier, in 1997, my Mom heard a song on the radio that she really enjoyed. The artist's album had just come out in September and so I decided to buy her the CD for her birthday, which was coming up in a few months. For my Brooklyn folks, I walked over to The WIZ on Flatbush and U and picked up the album: Loreena McKennitt's "The Book of Secrets." I was utterly unaware of the impact that this seemingly innocuous purchase would come to have on me as a writer. First, the fact that Ms. McKennitt's song "The Mummer's Dance" was even ON the radio speaks to the incredible diversity in programming that stations like 95.5 PLJ and even Z100 displayed back in the '90s. Second, the instant I heard the track, it stirred something inside of me. It, along with the rest of the album, had a transportative effect--whisking me away to some far-off, mystical place. Now, nearly twenty years later, it still holds that same power for me; the songs on that album are still integral to my creative process and have been included on the playlists for the writing of all four of the Kosmogonia novels. 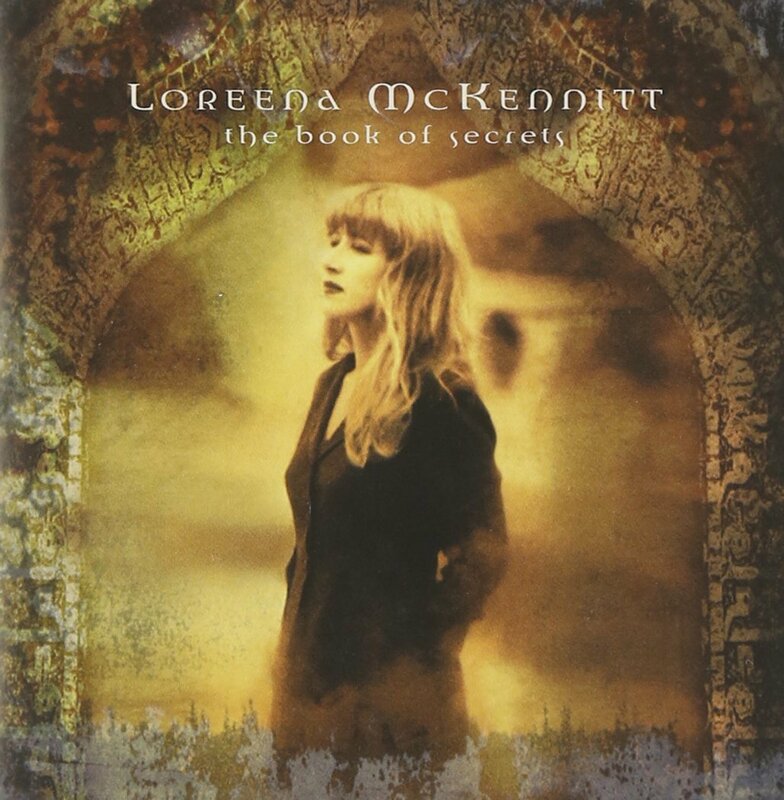 Loreena's voice is soothing and ethereal--her arrangements hauntingly beautiful. If you're looking for something different then I'd highly recommend scoping it out! I have found that, with nearly all of my creative pursuits, I serve more as a conduit than a creator. I can craft a methodical melody using music theory, I can direct the dialogue of a given written scene, and I can manipulate a photograph in post-edit to transform it in whatever way I desire. The quality of the end-product in each of those instances though seems always to pale in comparison with those that arise from more organic places--ones where I cede control to the moment and allow IT to direct ME. Whether it's a song, a story, or a photograph, by subjugating my creative intentions and subsuming myself to that instant of creative flow, I'm able to bring forth something far greater than I could concoct solely on my own. 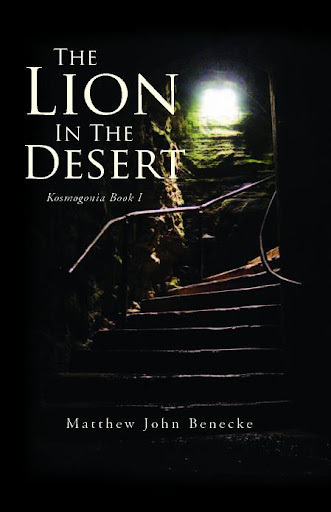 With regards to The Lion In The Desert's cover, when I had finished the manuscript (and its subsequent multitude of edits and rewrites! ), I once more had an idea of what the end product should be. I assumed that the cover would be of a desert sunset--one that would be an obvious and literal connection to the novel and its title but serve simultaneously as symbolism of an ingrained metaphor as well. I scoured my collection of photographs but failed to find any that conveyed the mental image that I had--one that stemmed from a particular scene in the final quarter of the novel. In 2006 my wife Heather and I took a trip to western New York. We visited the Corning Museum of Glass as well as Watkins Glen. I was pretty pumped about the latter because of the Thunder Road attraction--one of the few NASCAR speedways where you can drive your own car ON the track. I had also heard great things about a hike you can do there that follows a natural stone pathway around and behind waterfalls. After driving on the racetrack but before heading out to Corning, we decided to undertake the hike. With camera in hand, we made our way along the slick-stone ascent, snapping pictures along the way. We paused by a waterfall and took a few shots before continuing along. Something made me stop and turn around after we had descended the steps and what I saw fanned my photographic fire. What you see in the photo is what ultimately became the cover of The Lion in the Desert. The crazy part is that I took this shot well before I learned any photo editing skills so what you see is exactly what I saw, as it was, at that exact moment. The second photo emphasizes that point because I took a few steps forward and tilted the camera up and, as you can see, it completely altered the scene.